Relaunch of Capital's Favourite Multi-brand Store L'atelier! 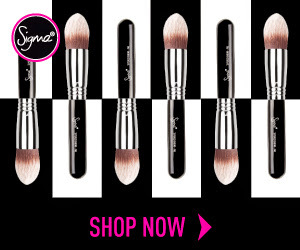 Capital is brimming with the best launches and the most awaited relaunches. 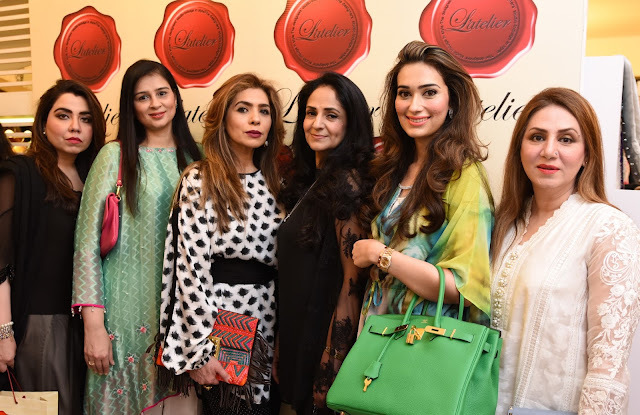 Rezz events & PR conducted yet another grand Re-Launch of this month, yes the most favourite muti-brand store of Islamabad, "L'atelier" is back, new location but as best as ever! 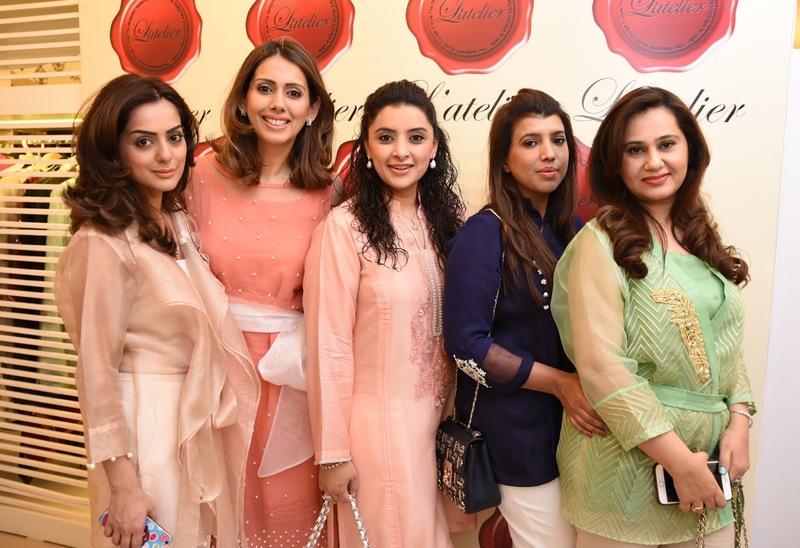 Islamabad, 12th May, 2016: L’atelier, Pakistan’s premier multi-brand store launches it’s flagship store in F-7, Islamabad amidst great footfall as all the L'atelier friends came in to wish the team best of luck and to show their love for the brand. The store indeed keeps to L’atelier’s brand ideology, with indulgent interiors and French inspired aesthetic inline with previous store launches. The collection on display is a versatile mix of fashionable ready to wear options and exquisite formals as well as accessories to complement the look. The new flagship store stocks over 40 designers from across the country and beyond. Designers stocking at L’atelier include: Farida Hassan, Silk by Fawad Khan, Unbeatable by Shehla Rehman, Rema Lux, Rana Noman, Mehdi, Velocity by Saadia Mirza, Ramira, Fashion ComPassion, Mahin Hussain, Chapter 13, Kross Kulture, Ayesha Khadeeja, Sarah Shahid, Hamna Amir, Mahin Hussain & Sarah Raza amongst many others. 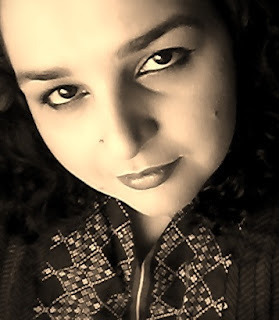 The event will also showcase the launch of The Pink Tree for the very first time in Islamabad. This Karachi based brand is the brainchild of Mohsin Sayeed, Hadia Khan and Sheena Rizvi. The collection on display ranges from hand woven tunics in cotton and muslin, woven gotas, tie-dye block prints, silk evening wear and the limited luxewear collection ‘Muslin Lust’. 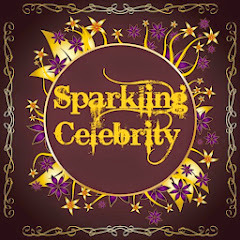 The event is organized by One and Only Islamabad’s Rezz PR & Events. 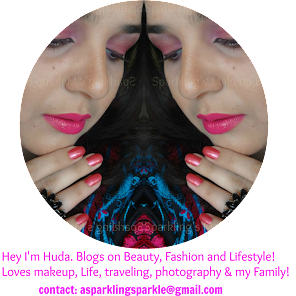 To check all the live updates from the event visit #SPB on Instagram. L’atelier (pronounced la-tell-lee-yay), is Pakistan’s premier multi-brand store. Launched in 2010, it came as a much anticipated high end fashion address to the capital’s increasingly style focused clientele. 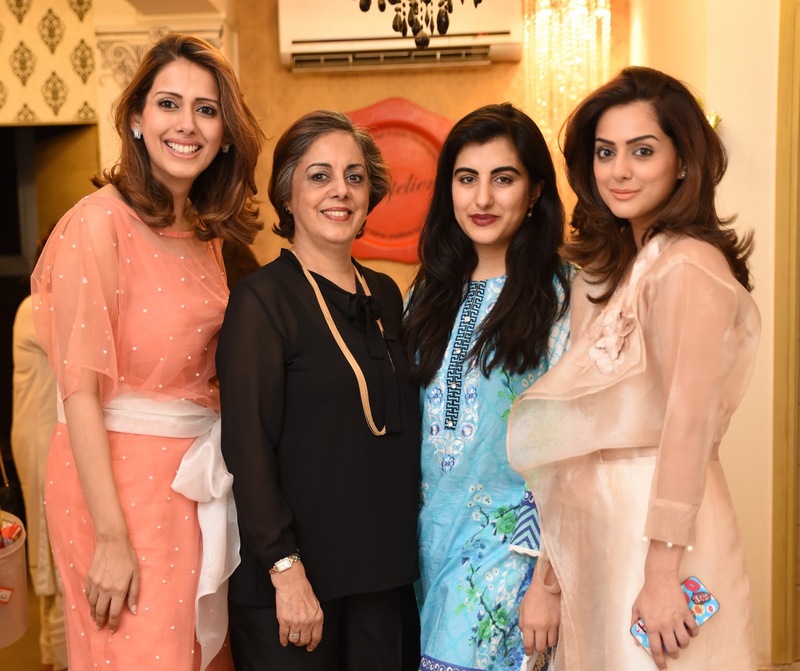 Entrepreneurs Ahsan, Sadaf, Sarah and Zahra Raza, wanted to create an ambiance of luxury and indulgence premised on French interiors and design. L’atelier’s motto is to provide a personalized service, exhibit the highest level of professionalism and provide access to fashion suiting every budget and every occasion. Taken together their vision is to provide an altogether superior retail experience. L’atelier focuses on presenting women with a versatile range of trendy ready to wear options, from everyday wardrobe choices to ensembles more suited to formal occasions. To complement the clothes L’atelier also provides a selection of jewellery, shoes, bags and clutches to accessorise and complete the outfit. The boutique stocks over 40 designers from across the country and beyond. Many of these have been introduced to Islamabad for the first time. The selection includes a rich cross section of design labels ranging from the most renowned houses of fashion to coveted upcoming labels. 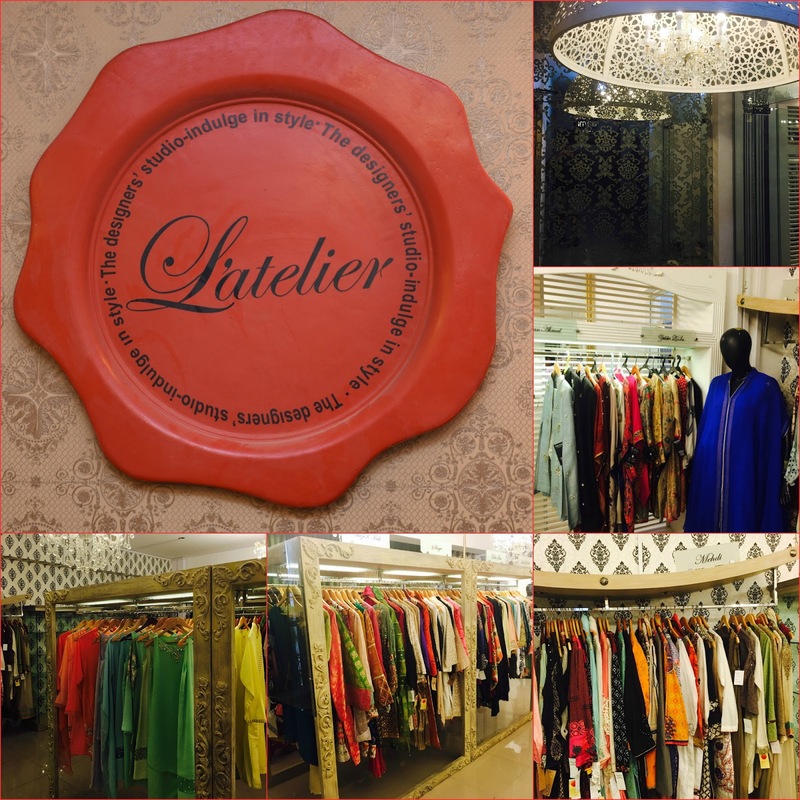 Designers stocking at L’atelier include: Farida Hassan, Silk by Fawad Khan, Unbeatable by Shehla Rehman, Rema Lux, Rana Noman, Mehdi, Velocity by Saadia Mirza, Ramira, Fashion ComPassion, Mahin Hussain, Chapter 13, Kross Kulture, Ayesha Khadeeja, Sarah Shahid, Hamna Amir, Mahin Hussain & Sarah Raza amongst many others. L’atelier thus sources a diversity of design aesthetics at a range of price points starting from as little as Rs. 1,000, to deliver their brand philosophy of providing a one stop shop for every woman’s every fashion need. Through it’s e-retail store, L’atelier has made original designer wear accessible to the international market, delivering the latest collections in 5-7 days at exactly the same prices as available within Pakistan. The online collections range from the most renowned houses of fashion to coveted upcoming labels and are buyers can also shop by category: wedding wear, party wear, casual wear and jewellery. The multi label store also provides a space for designers to hold exclusive exhibitions and trunk shows. Finally, in keeping with its pledge to ensure client satisfaction and superior service, L’atelier offers an efficient alteration service and free personal shopping facilities for international clients who can rely on boutique staff to source a complete wardrobe. The partners of L’atelier strongly believe in social responsibility and sustainable growth as an integral part of their business and have thus committed to dedicating a percentage of profits to worthy causes every year. Location: L’atelier is based at 13-V, 3rd Floor, Bangash Plaza, Jinnah Super Market (behind PSO) in F7, Islamabad and the team is available to contact at +92 33 3577 5033 and info@latelier-pk.com.